The Mexican city of Cancun has a wide range of night-time activities guaranteed to keep you up past your bedtime. From salsa dancing to pirate shows, here are the top activities you can’t miss when visiting the beautiful Riviera Maya. Nothing is more relaxing, fun and romantic than taking a floating tour around the hotel zone and the Nichupte Lagoon. There are many options to choose from: romantic ships, New Orleans-style boats, and Mexican traditional parties on Xochimilco barges. Go with your friends or partner, take some drinks, and enjoy the breeze and the beautiful view of the coast; a great way to start your night out. You’ll need energy for the long night ahead, so begin with a good dinner. Where to go, as always, depends on what you want to eat, and how much you want to spend. Do you want a traditional Mexican dinner? La Parrilla has a very Mexican menu and a great atmosphere (including mariachis). If you’d rather experience an apparently endless variety of tacos, Taco y Tequila Cancun is a good choice: the food is delicious, the margaritas are great and it’s close to a lot of the bars. 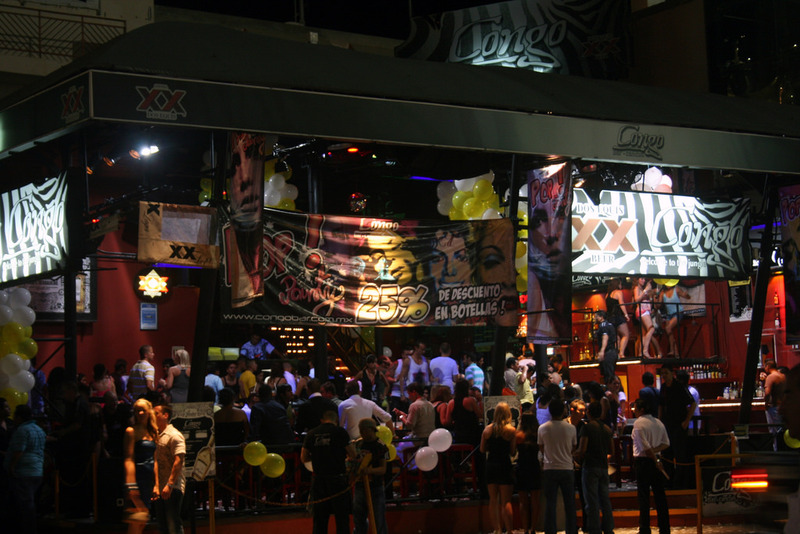 Walking through Cancun’s bar zone is a great way to explore and enjoy a few drinks. A good place to start is Mandala. It doesn’t get too crowded, and it’s not too loud, so you can still talk and meet people. If you want to feel the real Latin beats, hit Mambo Café and dance salsa, bachata, cumbia, and merengue to live music. You will need a dance partner, so it’s a great way to meet new people. Do book ahead if you don’t want to be standing up all night. This place is popular with locals, and the volume is not so high that you can’t still talk. This is a different way to spend a night in Cancun: no bars, no discos, but an exciting adventure in the Mayan jungle. Take a night-time trip to Xplor Cancun Park and experience the adventure park in a whole new way by the light of the stars, the moon, and the occasional fiery torch. Here, you can live the fantasy of an expedition through the jungle by flying in a tirolesa, swimming in a river, driving through caves and paddling in an underground river. Let the pirates welcome you aboard the Jolly Roger ship. There’s a restaurant where pirates sing and play games; after dinner, a pirate battle will commence, with the sound of cannons and grenades. We recommend you take a sweater with you in case the breeze gets cold, and wear flat shoes. If you like crowds, noise and dance, this is the activity for you. The best option is Cocobongo. More than just a disco, it also offers an artistic high-rise show performed to an exciting soundtrack. There’s a free bar, and it gets very busy, so don’t turn up too late. Other good options include La Vaquita, Cuncrawl, and The City.